A once-tropical, luxuriant land, Antarctica is now the most desolate place on Earth. Its coat of ice and snow covers more than 98% of its surface, making this southernmost landmass inappropriate for wildlife to flourish there, except for the coastline where conditions are milder. 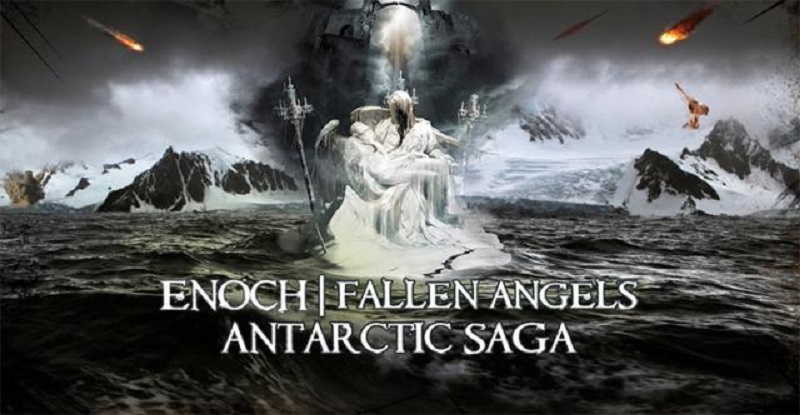 According to latest evidence and interpretations from the forbidden Book of Enoch, Antarctica is like this for a reason, and this reason could be related to a part of humanity’s timeline that needs to be forgotten. In 2006, one year after the Chinese detailed mapping of the region, NASA satellites had detected a huge electromagnetic anomaly buried underneath 151 miles of ice. It puzzles researchers even today since they cannot explain this fluctuation with ease. Intriguing passages from the Book of Enoch speak of the journey undergone by Enoch, the great great grandfather of Noah, who saw the place where the corrupted angels were imprisoned by God (or “The Lord”) in ancient times prior to the Great Deluge. These verses speak of a place where the sky was burning day and night, and where seven mountains with precious stones on top served as markings for the confinement place of the angels that had rebelled against God, giving birth to the Nephilim and swaying the human kind.